Dress rehearsal for the rock opera “Jesus Christ SuperStar” before its premiere on Christmas Day, 1971, in Vilnius. The largest and most significant youth movement in Lithuania during the Soviet period was that of the hippies. This movement, which started in the West at the beginning of the 1960s (in the U.S., Great Britain and Western Europe), reached the Soviet Union as well. The hippies seemed not to fit into the framework of “normal society.” Instead they withdrew from it. They were the rebellious avant-garde: they denied communist values and the official norms of thinking and appearance. They paid no attention to conventional standards of social life and behavior. The hippies delighted in what was forbidden in the Soviet Union (rock music, Eastern religion and philosophy). They laid the foundations for later youth movements. Thanks to them rock music appeared and became popular. In the Soviet Union, and so also in Lithuania, the only youth organization officially allowed was the Communist Youth Organization. The hippies became an alternative not only to it, but also to the entire culture of the time. The hippies were not the first unofficial youth movement in the Soviet Union. An earlier movement was the mod subculture (“stileiviai”), even though it did not become as widespread as the hippie movement. The mod subculture was the first alternative to communist society, to the only legal youth organization – the Communist Youth, and to Soviet music. Rock-and-roll music, which exploded in the West in the second half of the 1950s, reached the Soviet Union as well. This music invaded the dance halls. Young people adopted mod fashions. In the second half of the 1950s, the mod subculture appeared in the largest cities of Lithuania, but it surfaced primarily in Russia. Its proponents listened to rock-and-roll and jazz music, and danced the twist and rock-and-roll. The mod subculture did not have a clear ideology. Outward attributes – clothes and hair styles – unified its members. Young men wore short (above the ankles) tight pants, wide-shouldered plaid jackets, shoes with thick soles. They wore neckties (often with depictions of a palm or a naked woman). They had long hair which they combed up. The young women had frizzled hair, and wore heavy eye makeup and short skirts. The authorities persecuted the members of the mod subculture: they used to shave their hair and cut open their pants. Later the same was done with hippies. The beatnik generation had the greatest influence on the hippie movement in the West. It handed the torch over to the hippies and the punks. The best-known ideologues of the beatniks (Jack Kerouac, Allen Ginsberg) became the ideologues of the hippies. There were no beatniks in Lithuania, but the hippies adopted many of the attributes of the beatnik generation of the West. Hitchhiking, which the beatniks advocated, was very popular among hippies. Jack Kerouac’s book On the Road became something like a hippie bible. 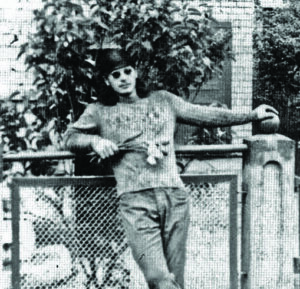 Thus, beatniks symbolically can be considered the first Lithuanian hippies. 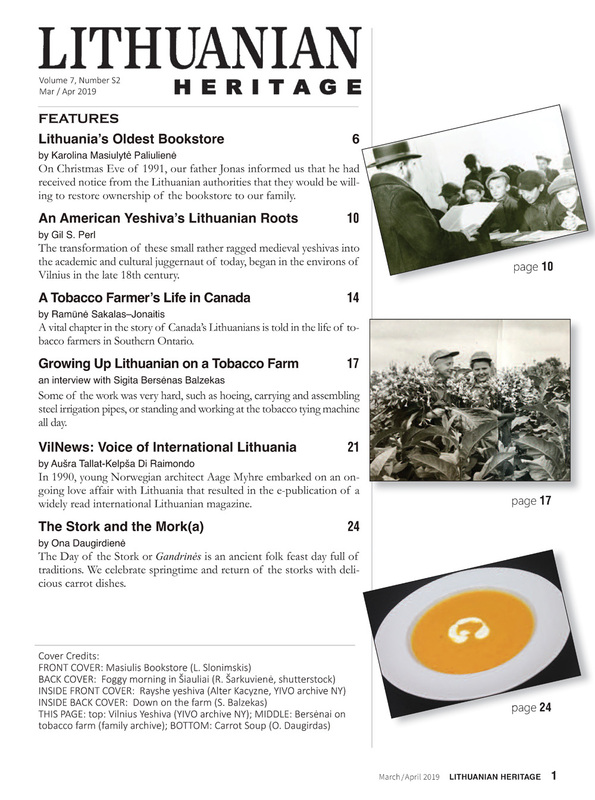 In Lithuania the beginning of this unofficial intellectual youth movement can be dated to 1967–1968. From 1968 to 1980, youths belonging to the hippie movement numbered in the thousands, but only about half of them could be considered real hippies. Despite the Iron Curtain, hippie ideas spread in the West and in Lithuania practically at the same time. Information reached Lithuania mostly through its neighbor – Poland. Apparently this is why the hippie movement appeared in Lithuania a bit earlier than in Russia, where the mod subculture was still operating. “Lithuanians surpassed the Russians: there were festivals and pop sessions in Lithuania. At first, Lithuanians did not even travel to Russia. It was the Russians who came to Lithuania, because there was nothing going on in Russia. The Russians who came to Lithuania were astounded. Lithuania was like a hippie center. Even the Estonians were lagging behind, but they caught up later. I can state categorically that the hippie movement in Lithuania was the strongest hippie movement in the whole Soviet Union. Lithuania was the republic closest to a more Western-like country since it bordered on Poland,” (S. Daugirdas). The hippie movement was not confined to Vilnius and Kaunas. There were hippies in other cities (Druskininkai, Šiauliai, Kėdainiai, Marijampolė, Klaipėda), but the movement apparently was not uniform. For example, the hippies of Vilnius looked down on the Kaunas hippies. The hippie groups did not interact with each other very much. Lithuanian hippies did not have a concrete ideology. Theory was not important for them. They followed three main principles: freedom, love and fraternity. “There was no ideology. Even the Americans did not have one. Unless you consider spontaneity an ideology, but that sounds paradoxical. To those who felt the essence of this ideology, it was a song of the soul, a source of refreshment, a feeling, a classification,” (O. Zacharenkovas, LT Roko Pionieriai, 2000). Freedom, which was one of the main principles of the hippie world-view, was in conflict with communist ideology. Freedom was understood as an inner state of human beings. Hippies expressed it through music, narcotics, appearance etc. The hippie movement, which arose in Western countries with deep democratic traditions such as the United States, was transformed when it came to the Soviet Union. There it took on a different flavor. In the West it was a protest against mercantilism, materialism, and standardized social values. In Lithuania, as in all of the Soviet Union, it was a protest against the regime itself. “This movement was directed against the system, whether consciously or sub-consciously. We did what we were not allowed to do officially, what was condemned, and so like it or not, it became a movement against the system,” (O. Zacharenkovas). Of course, the hippies did not protest against the regime openly or directly, but rather symbolically. They were not dissidents. They protested against the system because everything the hippies were interested in and everything they admired was prohibited by the official government. “I would not say that the hippies were opponents of the Soviet government. At that time, our ‘glorious’ communist party prohibited almost everything. The hippies were interested in precisely those things that were categorically prohibited,” (B. Darasevičius). The love principle was most often associated with communes. In the West mass communes were organized. Love was the most important word. It expressed everything. In Lithuania there were efforts to organize communes in apartments and on the coast, but the police broke them up quickly. In addition, due to unfavorable climatic conditions, they could only be organized in summer. The hippies in communes shared everything they could: money, objects, partners etc. They sought harmony, simplicity and love, (Konas, 1989). However, the hippies did not consider the love principle to apply only to physical love. The concept included love for those who shared their beliefs, a refusal to use force, pacifism. Here the principle of fraternity can be said to apply. Pacifism was associated with an aversion to serving in the Soviet army. Getting a draft notice was treated like a natural disaster. Staged suicides sometimes went along with the aversion to serving in the army. Draftees tried to get admitted to psychiatric hospitals in various ways. (Often these young people did not even have to pretend to be “deranged” in order to be sent to psychiatric hospitals, because the government tended to consider them mentally deranged.) “Real hippies did not enlist in the army. It was a matter of principle. We were for love and peace. We avoided the army through psychiatric hospitals. To get in, you had to stage an attempted suicide. Well, you also had to say something anti-Soviet and anti-military. The most popular way to avoid the army in those days was to cut your veins. When I got a summons to the draft board, I was morally prepared to do that. But I could not cut my own veins. A friend did it for me. Of course, when the ambulance came, I pretended that I had done it myself, but that I had botched it. They took me to the hospital, stitched up my wrist and sent me home. I was very disappointed. But I still followed the hippie tradition and chose to go to the psychiatric hospital in Švėkšna rather than enlisting in the army. I succeeded in getting the reputation of a mentally ill person through my answers to the questions posed by the medical commission. One of the questions was ‘Do you want to serve in the Soviet army?’ Of course I didn’t. Later I started to talk about some of my dreams. That was enough for them. I was admitted to the hospital,” (V. Mažeika; Kuzmickaitė, 2000). Certain people stood out among the hippies: in Kaunas – Birutė (whose real name was Evaldas), Ieva (Eve, also a male), Aleksandras Jegorovas (Džyza), in Vilnius – Alvitas Taunys, Monsteris (Monster, whose real name was Aleksas), Vovočka; in Ryga – Cepelinas (Sergejus Trofimovas); in Tallinn – Saisas. Musicians often became leaders – for example Stasys Daugirdas. They displayed their leadership mostly by organizing events such as pop sessions. 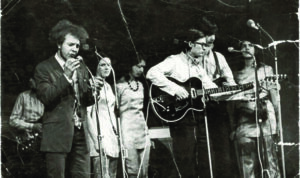 For example, A. Taunys organized a hippie pop session in Vilnius in 1971. They maintained ties with leaders from other cities or countries. Leadership was not based on status, but rather, depended on personal traits. Nationality was not important for hippies. They did not divide themselves by social class. Hippies were intelligent. Most of them were university students, although some were still in high school. Music is what united them the most. Music was the most important part of the movement. The Kaunas Polytechnical Institute was the center of the rock groups in Kaunas. 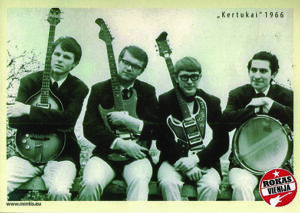 The groups “Kertukai” and “Aitvarai” started there in 1967. As for other Lithuanian cities, the city of Druskininkai was important. The group headed by Mikas Suraučius started there in 1965. In 1964 the songs of the Beatles reached Lithuania’s young people through Luxembourg Radio. The simplicity, sincerity and newness of the music bewitched many young hearts. “As soon as I heard the Beatles sing “Love Me Do” in 1964 over the Luxembourg Radio station, my whole life changed,” (K. Antanėlis; LT Roko Pionieriai, 2000). The new fashion in music was called beatlemania because it was associated with the group – the Beatles. Its style of music was known as “Big Beat.” A qualitatively new era began about 1968: music groups stopped copying the Beatles and the Rolling Stones and other groups. They started generating their own musical ideas. Most of the groups adopted a neutral folk style because original songs were not tolerated very much. 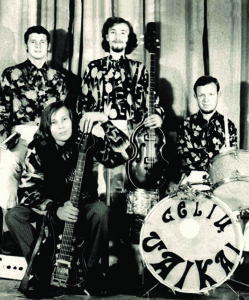 New groups started up: in Vilnius – “Bočiai” (Ancestors, 1968), “Gėlių vaikai” (Flower Children, 1969), “Rūpūs miltai” (1969), in Šiauliai – “Saulės vaikai” (Sun Children, 1968), in Kaunas – a few groups: “Gintarėliai” (Amber Bits), “Delfinai” (The Dolphins), “Vaizbūnai” (The Salesmen), “Perkūno ainiai” (The Descendants of Thunder), “Dainiai” (The Singers), “Meteorai” (The Meteors), “Gėlės” (The Flowers), “Raganiai” (The Male Witches). Women also began playing the guitar. 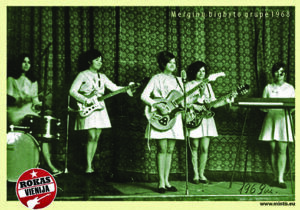 The female group known as “Bitės” (The Bees) began playing in Vilnius in 1966. In 1968 two female groups formed in Kaunas – one did not have a name, while the other was called “Eglutės” (The Fir Trees). In the beginning of the 1970s an alternative scene began to appear alongside the official Big Beat scene. The movement of guitar fans, which up till then was mostly a fad, took on the color of protest. The first prophets of this protest movement were the “Sartakovo trio” in Vilnius (formed in 1970) and “Nuogi ant slenksčio” (Naked on the Threshold) in Kaunas (formed in 1971). Their music opposed the Big Beat music style, which had become the norm, and became the first inception of real rock music. Rock started as a metaphor for freedom, love and death, as a challenge to the consciousness, creativity and experience of modern man. 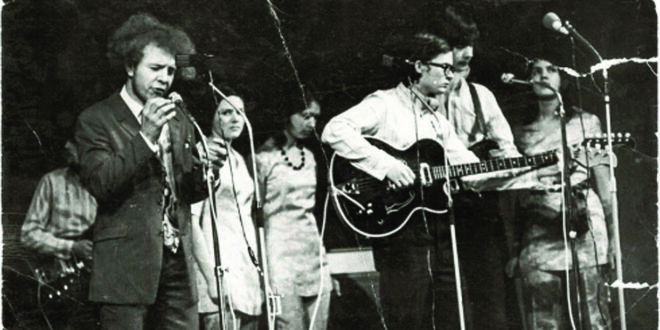 That is why it became the perfect instrument for a counterculture program. Rock was a phenomenon in which almost all possible anti-establishment elements and their manifestations came together: the carnival, city life staged as theater, the deliberate mixing up of social roles and even the tearing off of social masks. This exposed the non-conformist and anti-establishment nature of rock, which ignored the conventions, the superstitions and the double meanings of social life. Rock is a phenomenon which consciously breaks the borders that separate real from imagined and unnatural daily life. The rock music boom soon attracted wide attention. The government and proponents of traditional music took a negative view of rock music. They called it a “noisy rhythmic pounding of guitars which has nothing to do with music, a vulgar shrieking, which `inspires’ the musicians to pound on and break their instruments and the like,” (Juzeliūnas, 1970). The government understood that it could not restrain or prohibit a musical fad that was spreading like wildfire, and so it tried to control it at least. Close scrutiny of independent associations were instituted on instruction from Moscow to all Soviet republics (LT Roko pionieriai, 2000). Rock music was a bridge that joined the Soviet Union with the West. No iron curtains, no restraints could stop it. During the Soviet period in Lithuania, rock was like a drink of freedom. It was the main “forbidden fruit, which brought people together and encouraged new acquaintances,” (Varnas, 1997). Hippies listened to music in groups, not individually. This was like a group ritual, something like a substitute for religion, a form of magic (Donskis). “We used to get together to listen to music, and that was all we needed. We didn’t need any speeches, any words. Others were surprised and asked us, `What do you do, if you don’t talk when you get together. How do you pass the time?’ But for us, this was a different world, a different principle of communication. We didn’t care who had what or how much money anyone’s parents had. Music was what was most important,” (O. Zacharenkovas). It was hard to get recordings. Some got them from American relatives, and some bought them from “profiteers,” (recordings cost about 3 rubles). “There were very few vinyl records then. We used to listen to tape recordings which had been erased and reused a hundred times, and glued together with nail polish. I learned to read Polish in order to learn as much as possible about Western music. My mother used to get a magazine called `Kobieta i Życie’ (Woman and Life). I was able to read some of what was in the gossip column. We used to go to documentary films, during which sometimes excerpts from foreign concerts would be shown for five to seven seconds. These excerpts were meant to illustrate the ugly and degenerate face of capitalism, but we would go to those films ten times just for those few seconds,” (V. Kernagis). An important event in the musical life of Lithuania was the rock opera “Jesus Christ Superstar”, which Kęstutis Antanėlis put on in 1971. This was the first time it was performed in Europe. Antanėlis got a vinyl disc of this opera from a friend right after it came out. It made such an impression on him that he immediately began to reconstruct the score of the opera. After he and his friends played it together, they decided to put on the opera. These enthusiasts did not have a copy of the score. They recreated the score by listening to a recording of the opera. They performed “Jesus Christ Superstar” for the first time on December 25th at the Art Institute. Even though they did not try to associate this date with the subject of the opera, repressions began soon thereafter. “The KGB hassled me for a long time. I was even expelled from the Institute for one year. I was not a politician. At that time Kalanta had immolated himself, and one of the songs in our repertory, which had been written two years before, had the words `the heart – an old ember.’ This song found disfavor with the KGB. The `Voice of America’ saved us because it announced that the first performance of `Jesus Christ Superstar’ in Europe took place in Vilnius,” (K. Antanėlis; Šemienė 1996). Six months later this rock opera was performed in Lithuanian in the auditorium of the Vilnius Civil Engineering Institute (VISI). Olegas Zacharenkovas translated the libretto into Lithuanian (Žemulienė, 2000). Translated and abridged with the author’s permission from: Skaistė Plaušinytė. Hipių sąjūdis Lietuvoje. – Kultūros barai, 2003; Nr. 4, p. 69–73; Nr. 5, p. 71–74. 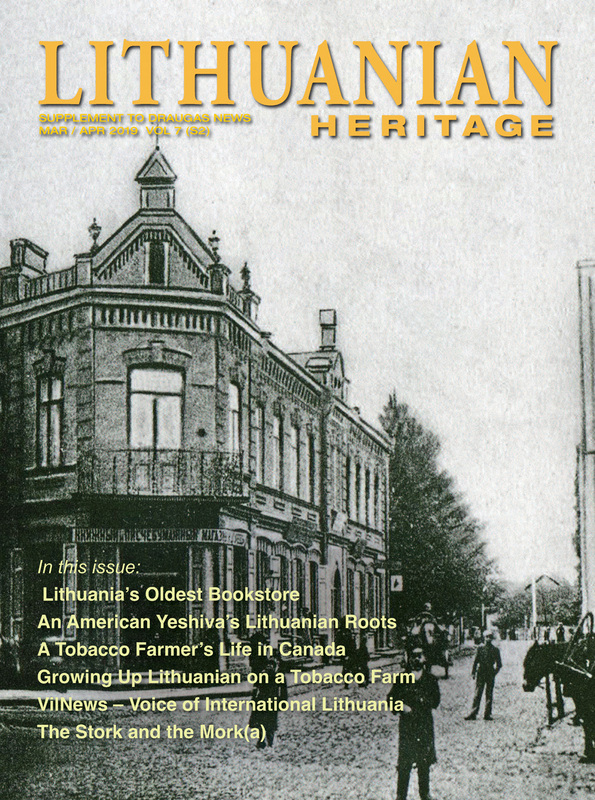 For footnotes and references, please refer to the original, unabridged text in Lithuanian (www.kulturosbarai.lt).